Chad Young works in full-time college ministry with Cru Global. He’s served in various local, regional, and national roles during the past sixteen years and currently is helping to launch Cru’s newest ministry, the graduate student ministry. 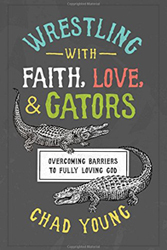 He is the author of Authenticity: Real Faith in a Phony, Superficial World (InterVarsity Press), Wrestling with Faith, Love, and Gators (Leafwood), Encountering Jesus: An Exploration of His Life and Works for Grad Students (CruPress), a discipleship-training manual, and magazine articles for Worldwide Challenge and The Collegiate. 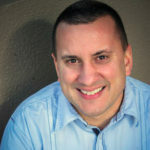 He frequently speaks at retreats and conferences and regularly writes devotionals for his website. Chad, with his wife Elizabeth, travels the country to speak at churches and train church leaders how to make Biblical disciples. Chad currently resides in Atlanta, GA, with his wife Elizabeth and their four children, Wyatt, Clark, Evelyn, and Josilynn. His hobbies include cheering on his kids in sports, following college football, and laughing with family around the backyard fire pit. As I was writing my first book, Authenticity: Real Faith in a Phony, Superficial World, I met Blythe Daniel and began working with her. She helped me to take my writing to the next level, and most importantly, she found my book a home with a publishing house. 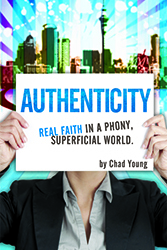 Blythe embodies what that first book was all about: authenticity. She's authentic, loving, kind, hard-working, and smart. I thank God for her help, support, and friendship.